Laminate flooring has so many benefits; it’s strong, easy to install and a lot less hassle when you consider it can go on top of many different sub-floor types. And with styles featuring extra water-proofing and protective coatings, it just got even more practical for the home too. As Quick-Step Master Installers, an installation by us comes with a 2-year installation warranty. 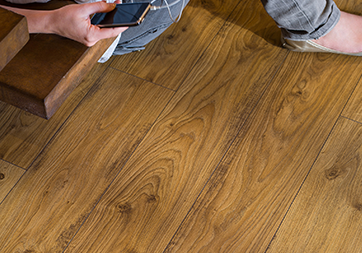 Contact us today for a free Quick-Step laminate flooring quotation or call in to one of our showrooms to browse samples, underlay, finishing profiles and order any Quick-Step accessories you need. 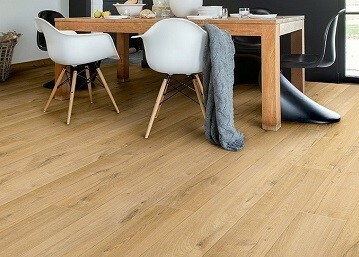 You can also order Quick-Step flooring from us, supply only. Tell us what you need. Quick-Step has a fantastic range of laminate flooring designs to choose from. Whether you want modern or traditional, large or small planks, textures, grooves or wood designs, you’ll find the right laminate floor to suit your interior. 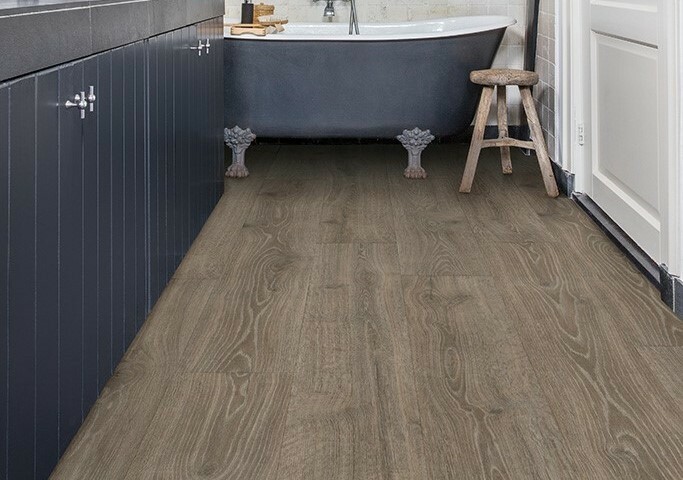 Perfect for kitchens, bathrooms and open plan dining areas, see the Quick-Step laminate floors with the 'HydroSeal' coating, for the most waterproof laminate floors yet. See samples at all our showrooms or request your free survey and quotation for Quick-Step laminate flooring. We are proud to be one of Quick-Step’s biggest retail partners, stocking the largest range of samples from their huge collection of laminate, hardwood and design vinyl flooring. Find out how we've earned Quick-Step Platinum Partner status.